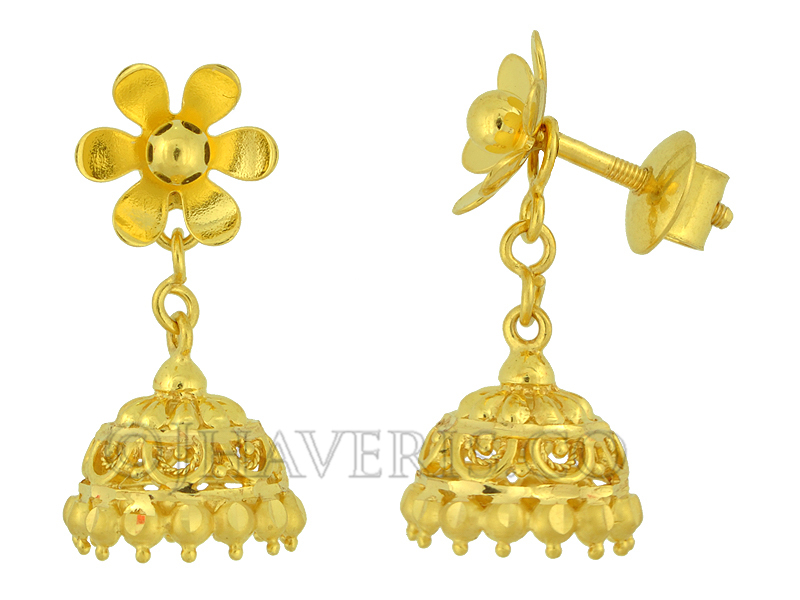 These beautiful and traditional jhumki style gold earrings weigh only 4.960gms. Delivery within 7 Days after realisation of payment. Comes Packed in an attractive Jewel Box.